Mohandas Karamchand Gandhi was born at Porbandar in Western India on October 2, 1869. The grandfather and father of Mohandas were famous for their upright character. His father had little formal education, but his knowledge and experience had made him a good administrator. His mother, Putlibai, was deeply religious, widely respected for her wisdom and good sense. Mohandas was the youngest of six children. He adored his mother. He loved his father too, but was a little afraid of him. He was seven years old when his father left Porbandar to become the Dewan of Rajkot. At Rajkot he was sent to a primary school. By nature he was shy and avoided company. He received good certificates from his teacher and got scholarship twice. He was married to Kasturbai at the early age of thirteen. They were about the same age. Kasturbai was a pretty and lively girl. Since Kasturbai had no formal education, Gandhiji tried to teach her but she could never concentrate on books, though she was quick to learn the household work. One day Gandhiji met Sheik Mehtab, a friend of his elder brother. Sheik had a bad reputation. Sheik was a meat-eater and he often told Gandhiji that if he ate meat he would also grow strong like him. Gandhiji had also taken to smoking with Sheik, his brother, and another relative. He had to pilfer small amounts of money with which to buy cigarettes. One day, in order to pay off a debt which his brother had incurred, Gandhiji stole a piece of gold. He knew that he had committed a great crime. He resolved never in his life to steal again. He made a clean confession of all this to his ailing father. His father tore up the paper without saying a word and sank back on his bed with a sigh. Gandhiji left the room, tears streaming down his face. From that day, Mohandas loved his father ever more. After passing his high school examination, Gandhiji joined the College at Bhavnagar. As he did not find the classes interesting, he returned home after the first term. His eldest brother and a family friend suggested to his mother that Mohandas should go to England to study Law. But his mother, holding orthodox views, was reluctant. There was also the problem of money. Gandhiji pleaded with her to allow him to go, and he took a vow not to eat meat, not to drink, and not to touch a woman. Putlibai at last gave in and on Sept. 4, 1888, Gandhiji left for England. In London young Gandhi found everything strange. He almost starved until he discovered a vegetarian restaurant. Struggling to learn western manners and customs, he bought well-tailored clothes and a top hat. He took lessons in dancing. He tried his hand at playing the violin. He took lessons in French and elocution. His attempt to be an Englishman lasted about three months. Then he gave up the idea. It was during this period that he read Bhagvad Gita. He read the Bible also. His meals were simple. He avoided expenditure on transport and went on foot everywhere in London. He started to keep an account of every penny he spent. He joined the London Vegetarian Society and soon found himself in its executive council. He wrote articles for the magazine 'Vegetarian'. The bar examination did not require much study. He therefore decided to appear for, and passed' the London matriculation examination. He was called to the Bar on June 10, 1891, and was admitted as a barrister. On June 12, he sailed for India. On reaching India, Gandhiji was shocked to hear the news of his mother's death. His mother had meant so much to him. At Rajkot, he set up practice as a barrister. Soon, however, he was disgusted with the greed and pettiness that he found among the lawyers. It was then that an offer came to him to go to South Africa on behalf of Dada, Abdulla & Co. who had filed a suit against another firm for four hundred thousand pounds. His services were required for one year and the company promised to pay him a fee and the first-class fare. He readily accepted the offer. It was painful for him to be parted from Kasturbai again so soon. In April 1893 he left Bombay for South Africa. Within a week of his arrival in Durban, he visited the court with Abdulla Seth of Dada, Abdulla & Co. The magistrate asked Gandhiji to take off his turban which he refused to do and left the court. He wrote to the Durban press to protest against such insulting rules. His letter received unexpected publicity. However, some papers called Gandhi an 'unwelcome' visitor. He left for Pretoria by train, with a first-class ticket to attend to the case for which he had been engaged. At the next stop an Englishman entered the compartment, and wanted Gandhiji to vacate it for him. When he refused to do so, the white man sought the help of the police and got him removed from the compartment with baggage at Pieter Maritzburg Railway Station. The train steamed away leaving him on the platform. He spent the night shivering in the dark waiting-room. Gandhiji took this experience to heart and resolved that, whatever the cost might be, he would fight all such injustice. After reaching Pretoria he began his study of the law suit. Even while he was engaged on it, he found time to call a meeting of the Indians in Pretoria. It was the first time he had addressed a meeting. After studying the Dada, Abdulla & Co. suit he was convinced that his clients' claim was just. He knew, however, that in the court it would drag on for a long time. So he called together representatives of both parties. 'Why don't you choose a good man, whom you both trust, to arbitrate between you?' he said. The representatives were astonished at this new idea and agreed to his suggestion. An arbitrator was appointed, and he gave his award in favour of Gandhiji's clients. Although they had won, Gandhiji persuaded his clients to be lenient with their opponent. Both parties were happy over the settlement. Now that the Abdulla case had been settled, there was no need for him to stay on in South Africa. It was at the farewell party when somebody put a copy of 'Natal Mercury' in his hands. It revealed to him that the Natal Government was contemplating introducing a Bill to disfranchise Indians. He was persuaded to drop the idea of returning to India and drew up a petition to the Natal Assembly. The petition was presented to the South African Legislature, meetings were held and funds were collected. Though this agitation failed to defeat the Bill, it created a profound impression. Gandhiji saw that, if the grievances of the people were to be redressed, a permanent organisation was necessary. The Indians there accepted the suggestion and the Natal Indian Congress was formed in 1894. The new organisation worked under the guidance of Gandhiji. It focused on the grievances of Indians there and put a new life into them. He became one of the busiest lawyers in Durban; but his main interest was his public work. He was now a well-known figure. In 1896 he sailed for India to bring his wife and children to South Africa. Besides, a visit to India would be useful in gaining support for the Indians in South Africa. It was a happy reunion with Kasturbai and their two sons. He launched a campaign to acquaint the people of India with the condition of the Indians in South Africa. He met the editors of influential newspapers and important leaders, including Lokamanya B. G. Tilak and Gopal Krishna Gokhale. Many newspapers published his views and strongly supported his case. Summaries of these newspaper reports reached South Africa before he returned there. In less than three months Gandhiji received a cable from Natal asking him to return. He immediately started with his wife and children. There was a great opposition to his re-entry in South Africa. He was accused of having excited anti-European sentiment in India. A message reached Gandhiji advising him not to land with the others' there was an angry mob of the whites at the dock. Kasturbai and the children were sent earlier. Later, accompanied by Mr. Laughton, the legal adviser of Dada, Abdulla & Co., he went ashore. As they proceeded, the crowd began to swell. Suddenly Laughton was pushed aside and the mob set upon Gandhiji. Someone snatched away his turban, others kicked him until the frail figure collapsed. Providentially, the wife of the Superintendent of Police saw all this. She came up and held her parasol between Gandhiji and the crowd. Soon the police arrived and the crowd was dispersed. The Secretary of State for the Colonies cabled the Natal Government from London to prosecute the assailants. The Natal Government expressed their regret to Gandhiji for the incident and assured him that the assailants would be punished. He thanked them but he refused to accept the suggestion for prosecution. He told them: 'I do not hold the assailants to blame. They were misled by false reports about me and I am sure that when the truth becomes known they will be sorry for their conduct.' The Durban incident raised Gandhjii's prestige and won more sympathy for the Indians in As the struggle in South Africa continued, Gandhiji became more and more involved in public activities and his way of life became simpler. He started cutting down his expenses. He took to washing and ironing his own clothes and cutting his hair himself. He made many experiments with his diet. He came to the conclusion that fasting increased one's will power. While he was thus experimenting with himself, the Boer war broke out. The Boers were fighting the British. Gandhiji did not want to support either of them, but his loyalty as a British citizen made him organize an Indian ambulance corps to help them. The British won the war. The newspapers in England praised the services rendered by the Indians. It was now 1901. He felt that his future activity lay not in South Africa but in India. When he announced his decision to his co-workers, they agreed to let him go, but only on condition that he would come back to South Africa if the Indians there needed his help. There were farewell meetings and presentations of gifts. He wanted to give them back but was not allowed to do so. He then prepared a trust deed, and all the gifts were deposited with a bank to be used for the welfare of the Indian community. On his arrival in India, Gandhiji went on a tour of the country. He attended the annual meeting of the Indian National Congress in Calcutta. He met Congress leaders like Sir Pherozeshah Mehta, Lokamanya B.G. Tilak, G. K.Gokhale, and others. He was not impressed with the way the Congress was functioning. He noticed a lack of unity among the delegates. While they spoke English and affected the style of westerners in their dress, they did not bother about essential things like sanitation in the camp. On his own he quietly started cleaning the bathrooms and latrines. 'Why do you undertake an untouchable's job?' they asked. 'Because the caste people have made this an untouchable place,' replied Gandhiji. From Calcutta, Gandhiji travelled around India by train. He was shocked to see the life of the common people-the famished, ignorant, and neglected masses. In December 1902, a cable reached him from South Africa requesting him to return. The Colonial Secretary, was arriving from London on a visit to Natal and the Transvaal, and the Natal Indian Congress wanted Gandhiji to present their case to him. Gandhiji reached Natal to lead the Indian deputation but the Colonial Secretary gave the deputation a cold reception. Before the Boer war, Indians had been free to enter Transvaal, but now they had to obtain a permit from the newly created Asiatic Department. To get a permit was no easy matter. Gandhiji now decided to stay in Transvaal and fight the colour bar there. He was enrolled in the Supreme Court at Johannesburg. He made good earnings from his practice, but his heart was in the service of the people. Meanwhile, he gave up luxuries and pleasures. In 1904, the journal Indian Opinion was launched by him. He helped the journal generously from his own earnings, organized the work and wrote the editorial column. The journal, published every week in Gujarati and English, reflected his ideals and pointed out to the Indian readers their, duties, rights, failings and prejudices, and to the Europeans a correct picture of the difficulties faced by the Indians. Gandhiji met H. S. L. Polak, in 1904, then a sub-editor of the 'Critic'. The two soon became fast friends. Polak presented to Gandhiji a copy of a book by John Ruskin called 'Unto This Last'. It influenced Gandhiji a great deal and he paraphrased it in Gujarati under the title 'SARVODYA' (Welfare of all). He then hit upon the idea of founding a community with a true sense of brotherhood. About a hundred acres of land were acquired at Phoenix near Durban, and a farm was set up. In the beginning six families were settled there. Indian Opinion was moved to Phoenix. He also pursued his experiments with diet. 'I intend to be the ruler of my body,' he would say. In 1906, the Zulu 'Rebellion' broke out in Natal. It was a no-tax campaign. Gandhiji's sympathies were with the Zulus, but he considered it his duty to help the British. His offer to form an Indian Ambulance Corps was accepted. It was in active service for six weeks, nursing and looking after the wounded. In August 1906 an ordinance was issued by the Transvaal Government requiring all Indians to register themselves and obtain a certificate bearing the name and thumb impression. Anyone failing to produce the certificate was liable to be fined, imprisoned, or deported. Gandhiji told his co-workers. 'If we meekly submit, it will spell absolute ruin for us in South Africa.' He saw here the need for passive resistance or 'satyagraha'. He explained to the people his concept of satyagraha. He said, they must be prepared to observe absolute non-violence. The authorities would take all measures to put down the agitation.They might use violence and send them to jail. 'Merely disobeying the Government's laws will not be enough,' Gandhiji said. 'You must have no hatred in your hearts. And you must cast away all fear.' Hundreds of Indians were arrested, and imprisoned. They all pleaded guilty and went to jail Gandhiji too was imprisoned. Then one day he was sent to Pretoria to see General Smuts. Smuts said, 'It is not in me to dislike Indians, but they must obey the law.'' l would rather die than submit to this law,' Gandhiji replied. 'It is meant to humiliate the Indians.' Gandhiji promised to end the satyagraha if the 'Black Act' was repealed and the prisoners released. Smuts agreed to do this provided the Indians would register of their own accord. On this agreement, they parted. Back in Johannesburg, Gandhiji called a meeting of the Indians. 'We must now register voluntarily to show that we do not intend to bring a single Indian to the Transvaal by fraud,' he said. Many Indians followed Gandhiji by registering voluntarily. But General Smuts did not repeal the "Black Act". Gandhiji started another satyagraha movement. More than two thousand certificates were burnt. Many Indians openly crossed the border into the Transvaal, where their presence was illegal. Gandhiji and many of his compatriots were imprisoned several times in the course of the agitation. When Gandhiji came out of jail for the third time, the Indians decided to send a deputation to England to acquaint the British Government with the situation in South Africa. Gandhiji and Seth Haji Habib were sent to but the mission was a failure. Gandhiji then gave up his practice as a lawyer. Hermann Kallenbach, a white farmer, offered Gandhiji his own big farm near Johannesburg to start another colony. He suggested that all those who had lost their jobs and homes by their participation in the satyagraha could be settled there. The new colony was established in 1910 and named 'Tolstoy Farm,'. Here people who were different in nationality, religion, and colour lived together like one family. Meanwhile, the struggle continued against the "Black Act" and the poll-tax. And now hundreds of Indian women, including Kasturbai, joined the movement. The arrests, the deportation of passive-resisters, and the sufferings of Indian families angered the people of India. Gandhiji, took a triple vow of self-suffering: to dress like a labourer, to walk bare-foot, and to have only one meal a day, till the poll-tax and other injustices were abolished. In October 1913, Gandhiji organised a march of over 6,000 Indian workers from the Natal mining area into the Transvaal. Gandhiji and many other Indians were imprisoned. The mines were converted into temporary jails. The satyagrahis were flogged to force them to go back to work, but without success. Gandhiji had aroused in them the spirit of quiet, dignified resistance. Soon the movement spread all through Natal and the Transvaal. The prisons were overflowing. At last General Smuts was obliged to act and appointed a commission. In December 1913 Gandhiji was released, but he would not give up the struggle. However, the European employees of the railways in the Union went on strike, and, therefore Gandhiji decided to drop the idea of the march as he did not wish to embarrass the Government further. His decision created a good impression on even General Smuts. The Inquiry Commission reported in favour of all the essential reforms demanded by the Indian leaders. The Indians' Relief Bill was passed. It abolished the poll-tax on indentured workers, declared absolutely legal all Indian marriages, and removed penalties for crossing from one State to another. Gandhiji had won. And so had the satyagraha movement. Gandhiji now felt that his mission in South Africa was over. Gandhiji, with Kasturbai and Kallenbach, sailed for England. On August 4, two days before he reached London, the First World War was declared. A meeting was called of the Indians in England. 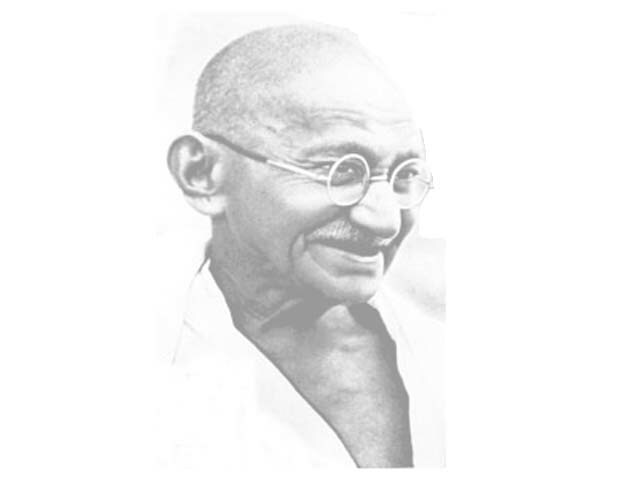 Gandhiji expressed the view that Indians residing in England ought to do their bit in the war. He felt that England's difficulty should not be turned into India's opportunity. He also organised an ambulance corps. Gandhiji was back in India after twelve long years. A great reception awaited him in Bombay. Gokhale was in Poona and was in poor health, so Gandhiji went to see him. He told Gokhale that his plan was to have an ashram where he could settle down with his Phoenix family. They were already at Santiniketan. Gandhiji went to Rajkot and Porbandar and then to Santiniketan. The teachers and students there gave him a loving welcome. There he met Tagore for the first time, and also C. F. Andrews. On hearing the sad news that Gokhale had passed away, he left for Poona, C. F. Andrews accompanying him as far as Burdwan. 'Do you think', Andrews asked Gandhiji, 'that a time will come for satyagraha in India? If so, how soon will it be?' Gandhiji replied, 'Gokhale made me promise that I would travel in India for one year to gain experience, and that I would express no opinion until I had finished this period of probation. So I do not think there will be any occasion for satyagraha for five years.' In May 1915 Gandhiji established Satyagraha Ashram near Ahmedabad. The ashramites took food together in a common kitchen and strove to live as one family. He told the members: 'If you want to serve the people, it is essential to observe the vows of truth, ahimsa, celibacy, non-stealing, non-possession, and control of the palate.' In February 1916, Gandhiji was invited to speak at the laying of the foundation-stone of the Banaras Hindu University. The Viceroy and many of the most important people of India were there. Gandhiji's speech contained outspoken criticism of the rich in a poor country like India. 'Here at last is a man telling the truth', many thought. 'He is the man to raise India from the mire.' For two years Gandhiji had travelled extensively. His first interest centred on the problem of indenturned labour. He had fought this system in South Africa. He wanted a definite date before which the system would go. He consulted all the Indian leaders. As a result of the agitation, the Government announced that the system of indentured labour would be stopped before July 31, 1917. In Champaran district of Bihar, the cultivators were forced by Europeans to grow indigo and this imposed on them untold sufferings. An agriculturist from Bihar, Rajkomar Shukla, requested Gandhiji to go to the place and see for himself the state of affairs there. Gandhiji went to Champaran early in 1917. On his arrival the District Magistrate served him with a notice saying that he must leave the place by the first train. The magistrate said, 'If you leave the district now and promise not return, the case against you will be withdrawn.' 'This cannot be,' replied Gandhiji. 'I came here to render humanitarian and national service. A large crowd of peasants was outside the court shouting slogans. Gandhiji appeared before the crowd and said, 'Any violent act will harm our cause.' The crowd dipersed peacefully. The Government withdrew the case against Gandhiji and he stayed there to study the grievances of the peasants. He cross-examined about 8,000 cultivators and recorded their statements. He came to the conclusion that the ignorance of the cultivators was one of the main reasons why it was possible for the European planters to repress them. Gandhiji therefore set up voluntary organisations to improve the economic and educational conditions of the people. They opened schools and also taught the people how to improve sanitation. The Government then set up a committee to enquire into the grievances of the cultivators and invited Gandhiji to serve on it. The result was that within a few months the Champaran Agrarian Bill was passed. It gave great relief to the cultivators and land-tenants. While Gandhiji was in Champaran, a labour dispute started in the textile mills at Ahmedabad. Prices had gone up and the mill workers were demanding higher wages. The mill owners would not agree with the full demand. Gandhiji sympathised with the workers and took up their cause. Under him peaceful struggle was launched and the workers went on strike. Days passed. The strikers were getting impatient. Gandhiji feared that some workers would break their pledge and go back to work. One morning he called the workers and said, 'Unless the strikers rally and continue the strike till a settlement is reached....! will not touch any food.' His fast was not against mill owners, but against the lack of co-ordination and unity among workers. It lasted only for three days. It influenced the mill owners so much that they came to an agreement with the workers. The Kheda district of Gujarat was on the verge of famine owing to failure of the crops. The yield had been so low that the cultivators, especially the poorer section, were unable to pay the revenue. But the Government insisted that the cultivators should pay the tax. Gandhiji saw the justice of the cause of the cultivators and advised them to offer satyagraha by not paying their taxes. Many leaders, like Vallabhbhai Patel, Shankarlal Banker, Mahadev Desai and others, took an active part in this struggle. After four months' struggle there came an honourable settlement.